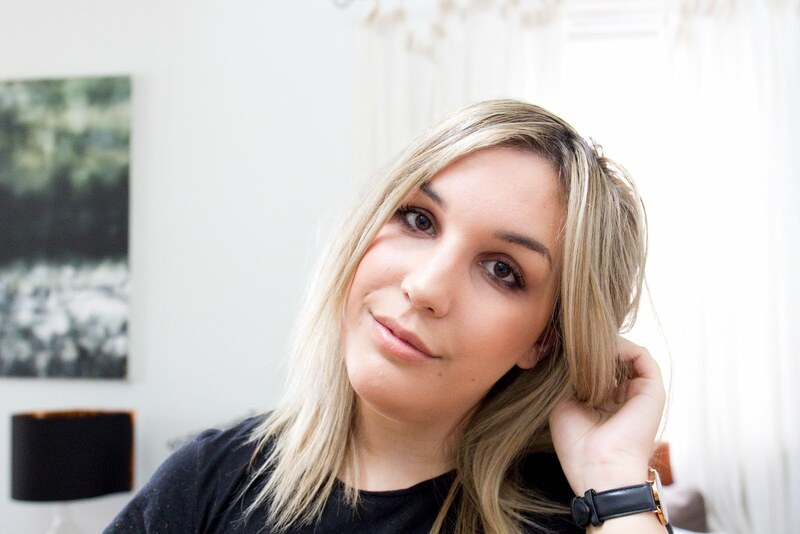 It's been a funny month for makeup for me - I feel like I've been a bit restless lately and stuck in a makeup rut so I've been forcing myself to use products I haven't touched for a while and I've definitely had some good results! This month I've been loving a few of those oldies but goodies, but I've also added a couple of new products to my ever growing stash which I have been absolutely loving. A couple of months ago I decided to buy NARS Sheer Glow Foundation after a few recommendations. I wanted a new everyday foundation that wasn't too light but not too heavy, and this is perfect. I've been using it almost everyday for work and am loving the finish! The same day, I made a really naughty purchase. I caved at the By Terry counter after swatching some of the Ombre Blackstar eyeshadow sticks. I caved, badly. I went from swatching to the counter within around three minutes, it was not a proud moment! I ended up having to wait six weeks for this baby to be in my hands though, everywhere was out of stock and they forgot to send my order when it was replenished, but it's finally here and I can confirm that these are AMAZING. I would purchase more colours if not for the $62 price tag. My last trip to the States, I picked up a quad palette from MAC and just recently transferred a few of my favourites into it. It's so handy, and so much easier than pulling my big palette out (lazy gal here). I've been trying to switch up my work makeup lately to make it more interesting and even just adding a swipe of eyeshadow has definitely made a difference for me! For my brows, I've gone back to the always amazing Anastasia Brow Wiz after my Hourglass Arch Brow Sculpting Pencil broke (I'm still weeping, we had such a short love affair) and I've rediscovered just how awesome it is. So quick, so easy, I'm all about that. For days where I'm going for the whole 'no-makeup makeup' look, I've actually been getting quite a lot of use out of the new Benefit Gimme Brow Gel. I did originally express my dislike for this product, but it's certainly grown on me. My only qualm with it is the smell - I cannot stand it, and I feel like I can smell it for hours. I can't think of what it reminds me of, but I just can't handle it. Anyone else? Lastly, I've been reaching for these two products daily. Slowly but surely, the Hourglass Ambient Lighting Powder has worked it's magic on me, and I am finally an addict. I can't explain it, but it makes skin look flawless. It really does help blur imperfections like it states. I also love using it as a finishing powder after I've used concealer under my eyes, it highlights perfectly to deter my horrible dark circles! I've always been a big fan of MAC Blush in 'Warm Soul' but I feel like I've been obsessing over it lately! Imagine NARS 'Douceur' but with added shimmer. 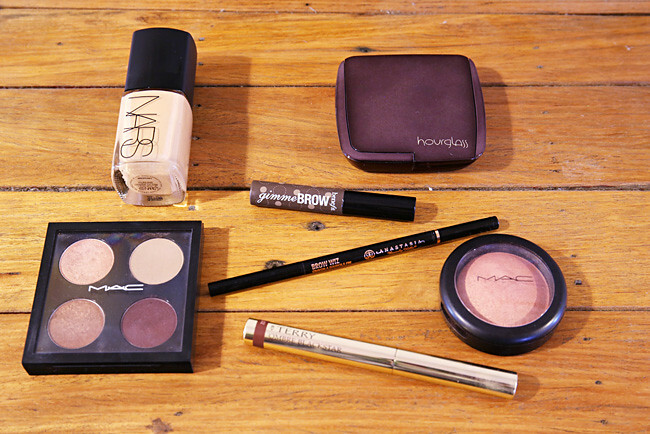 It's so gorgeous, and goes with any look or complexion. I've really been loving the more toned down blush colours this month and this one is perfect! I've been trying to be good this month after last months naughty purchases, and definitely trying hard to put some savings away and use up products before I buy anymore. I find it so refreshing to mix up your beauty routine and it helps you rediscover products you love! What have you guys been loving lately? Lovely products! Wow $62?! I'm not sure I could justify that purchase (not that I can afford it anyway) but I have heard SO many raves! Which shade did you get? I really want to try Gimme brow, I'm just unsure as to whether the deep shade will match me. I think I need to pick up one of the By Terry Ombre Blackstars, I've had my eyes on them for quite some time now! everyone always raves about NARS sheer glow and i really want to try it but i get reasonably oily in my t-zone by the end of the day - do you have dry any issues with it sticking around or does it last well for you? and you know this is the first time i've actually read anything negative about gimmebrow cause everyone goes on and on about how great it is so i appreciate the honesty. i haven't used it myself yet but i definitely want to try it, even if it does smell weird. Honestly, I am suppper sensitive to smells, so I'm probably the only person who has a bit of a problem with the smell of Gimmebrow, I've not heard anyone else complain about it! NARS Sheer Glow Foundation - yes, yes, yes! I love this stuff so much. Whenever I can't decide what foundation to wear for the day (when you're a beauty junkie, deciding what makeup to wear can be like choosing your clothes! ), I always fall back on this because it's just perfect. Having said that though, I'm still super keen on buying Giorgio Armani Luminous Silk, and especially after you said it was so amazing! You finally got your Ombre Blackstar! I think I'm just going to stick with my one for now as I can't justify the price for another and especially since I have other eyeshadows that are very similar. I love using this when I'm rushing to apply my makeup because it's so fuss free. I sit right next to all my makeup when I'm putting on my face, yet I still find getting out my MAC palettes such a pain in the bum too, lol. I'm so devastated for you and your Hourglass pencil. That would break my heart! I did have a little accident with mine too when I put the brow groomer lid on the pencil side without realising and a part of it broke off. Luckily it wasn't wound up too high so I still have most of my pencil left! You keep going on about Warm Soul and now I'm so curious about it! Is it permanent? I always get stuck in ruts with my makeup, but I love rummaging around through my collection and mixing things up when I get the chance (I'm always in a rush!). I'm always like, "Oh yeah!" when I forget what I have. Yes! I always go for Nars SH lately, especially since my Loreal True Match has run out. It's just so easy and lovely. I reserve my Giorgio for special occasions, sooo lush. Noooo, still such a shame because the Hourglass pencil is so expensive! I'm still determined to use mine - I can't bare the thought of throwing it away! I believe it's permanent - MAC Australia still seems to stock it? My heart broke when I read the $62 price tag because I've been lusting after those damn By Terry Ombre Blackstars after all the hype they've been getting. I knew they'd be expensive but oh dear. My bank is going to HATE me. Haha. I wish I could tell you they are not worth it, horrible, over-hyped etc. but unfortunately...they are incredible. I nearly bought another today - I'm still in awe at my restraint! Are you liking any colour in particular? Some of my all time favourites here - Gimme Brow, Brow Wizz, the Ombre Blackstars and the Ambient Lighting powder all have holy grail status in my stash! I keep hearing about the Sheer Glow, I think it's going to have to be next on the hitlist..